Nip Davis and Associates and Scarborough Caribbean SC is now Black Sage! 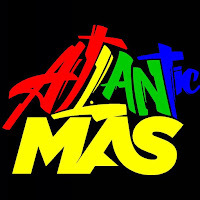 Our new name represents our combined talents to present the best band on the road for Caribana 2010 and beyond and, as always, the best section costumes and mas. Our presentation for 2010 is ‘Kopy Kat’ where we will give respect to all the greatest band themes that came before us...you could say, the best of the best! We appreciate your continued support and look forward to seeing you all on the road with us next summer. As soon as we have the sections ready, we will post them for your viewing pleasure. Remember, we are now called BLACK SAGE and we love to have you as part of our band and part of our mas family!